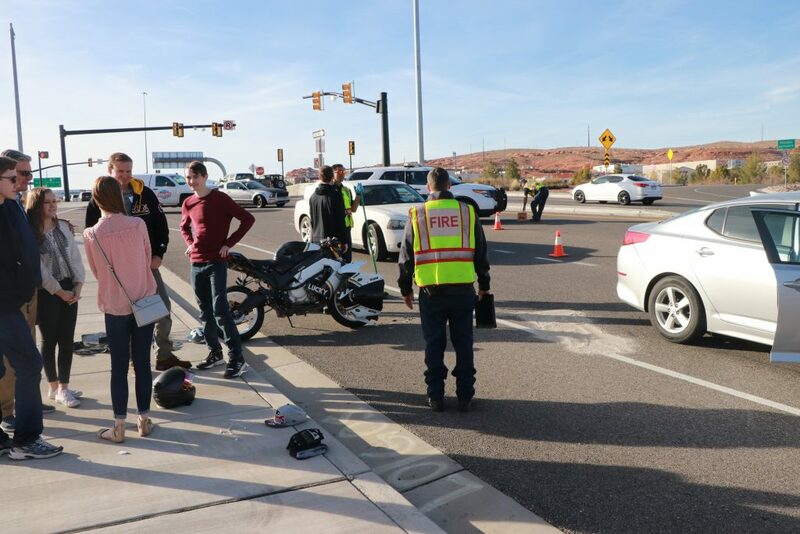 ST. GEORGE — A motorcyclist following too closely rear ended a passenger car on St. George Boulevard Saturday afternoon. 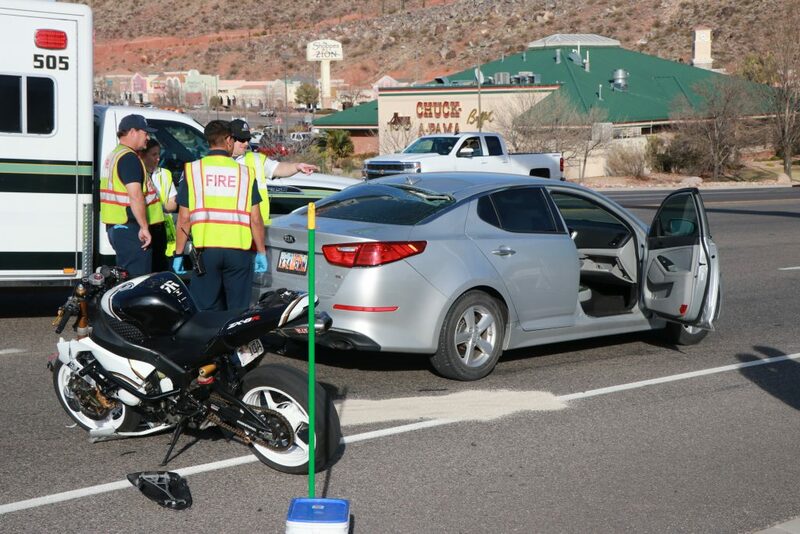 The incident occurred shortly before 3:30 p.m. between the Interstate 15 Exit 8 off-ramp and River Road. 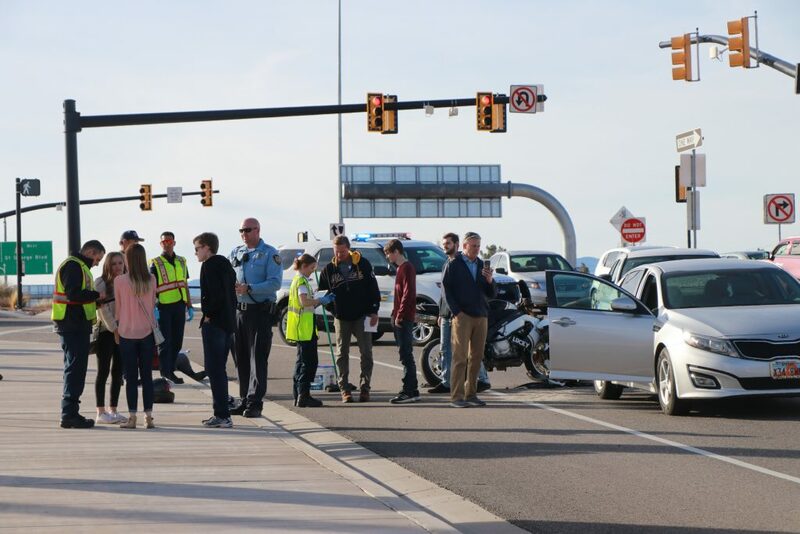 Both vehicles were heading eastbound at the time of the collision, St. George Police officer Ken Childs said. A man driving a Kawasaki motorcycle was following a silver Kia Optima sedan in the far right lane, Childs said. 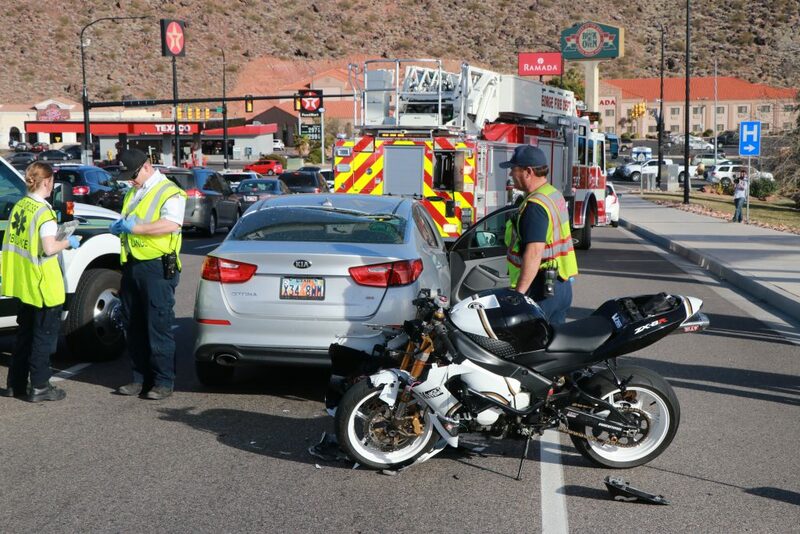 “He looked to his left to check his blind spot, didn’t see that traffic had slowed and collided with the rear of that vehicle,” Childs said, adding that the motorcyclist ended up on top of the Kia after the collision, damaging the car’s roof and rear window. 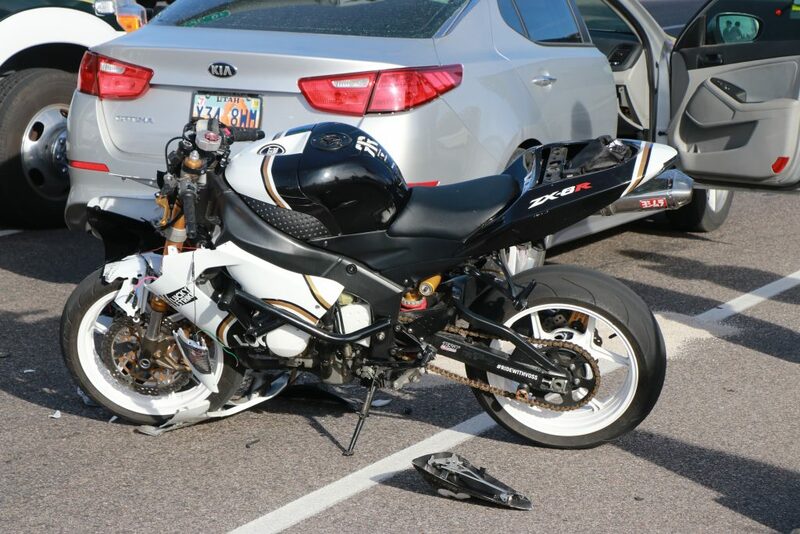 Although the motorcycle was significantly damaged, no injuries were reported, Childs said. Gold Cross Ambulance personnel responded to the scene, but nobody required medical treatment or transport. The Kia sustained moderate damage but was still operable. 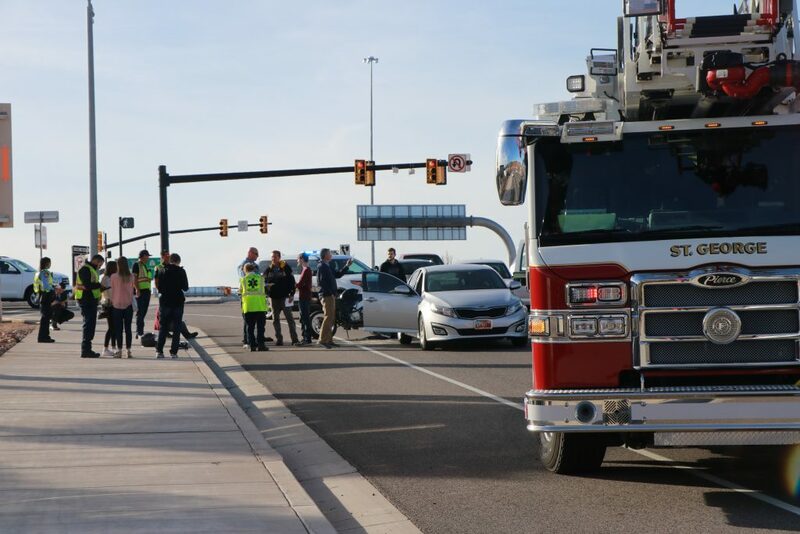 St. George Fire Department personnel also responded to help clean up the scene while police officers investigated and collected statements from the drivers and witnesses. 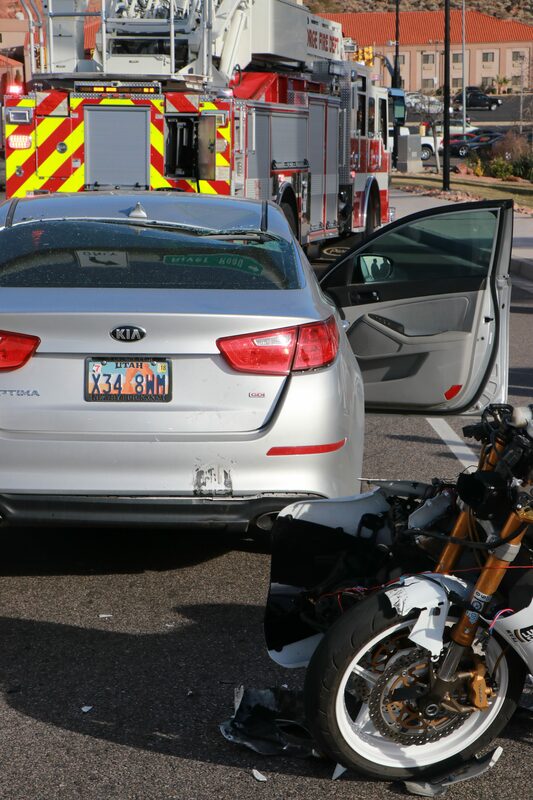 Childs said the motorcycle driver would be receiving a citation for following too closely. 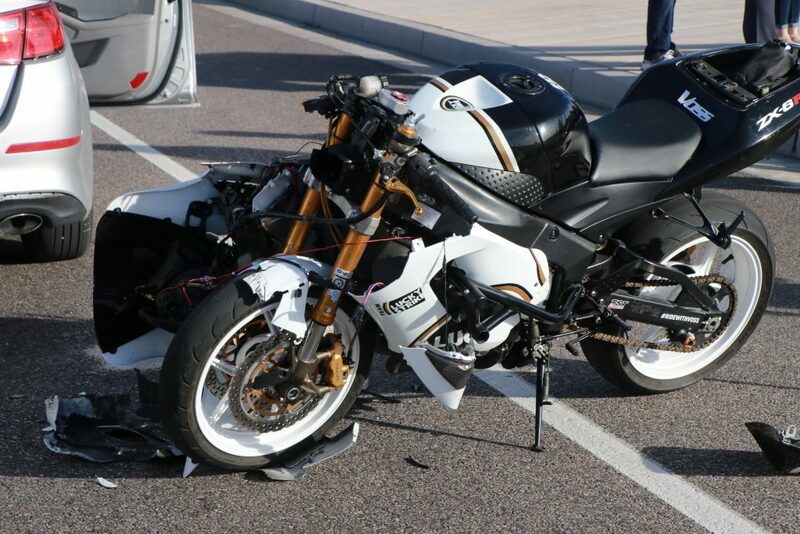 He reportedly was wearing a helmet at the time of the collision. Oh well to bad for the motorcyclist LOL ! they always complain people never see them !